The Climate Crisis summarises the current scientific knowledge on climate change for a wide readership, lavishly illustrated with hundreds of photos and graphs. It explains the basic science and measurements, the impacts of climate change as well as the solution strategies. "David Archer and Stefan Rahmstorf - two outstanding scientists - bring us up-to-date on climate science in this remarkable and very readable book. This book deserves to be read by anyone interested in climate change." 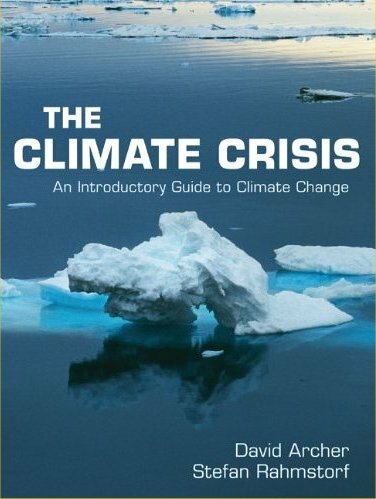 "This book should be read by anyone who is interested in climate change but does not have the time or commitment to read the IPCC reports. It is balanced in explaining what is known with confidence and what is not and the uncertainties. Each chapter opens with a summary of its content and concludes with an excellent discussion of the main findings and their implications." One hopes for a wide readership for this measured book which clearly and thoughtfully sets out the results of the work of a great many scientists."